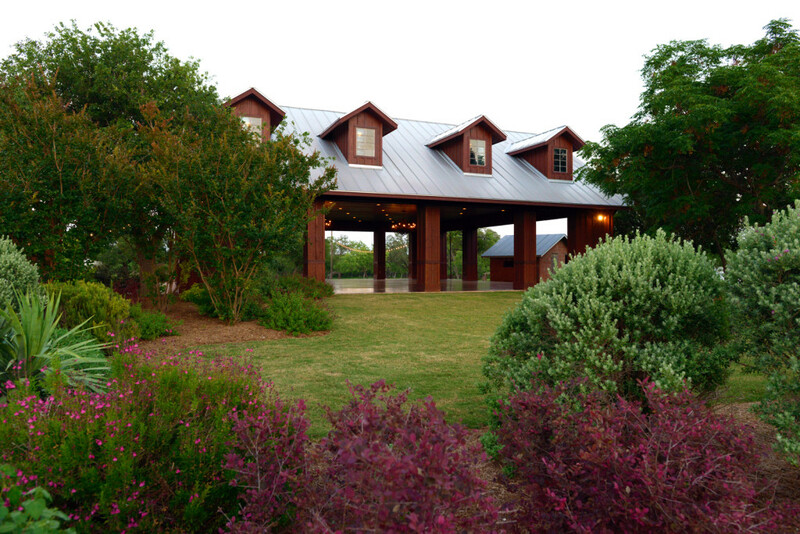 Wherever you turn, breathtaking vistas are found at the Pavilion at Hofmann Ranch. 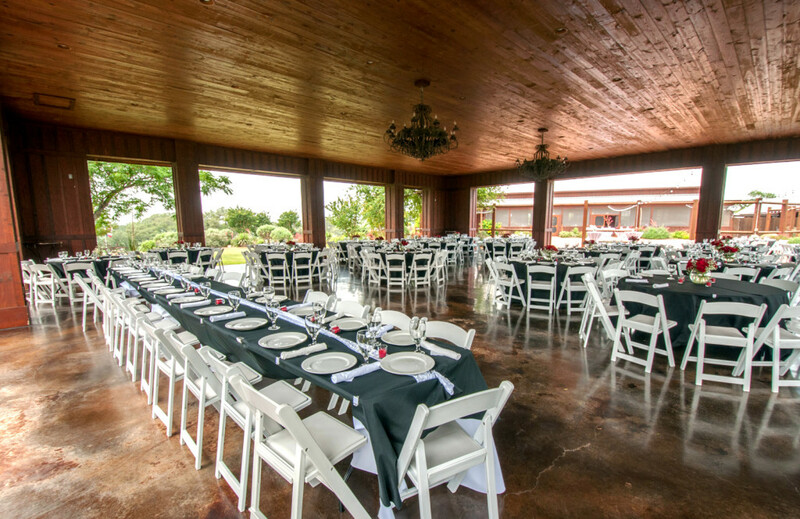 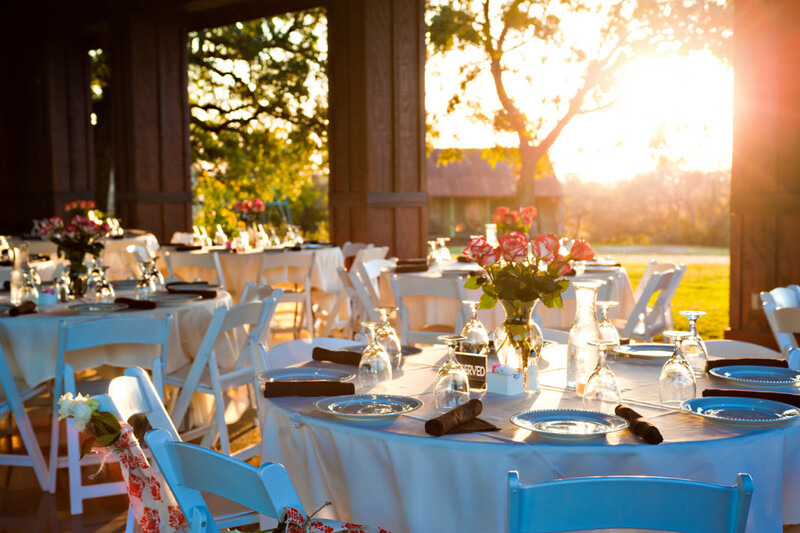 Guests are captivated by the Medina Valley that stretches before them and are refreshed by the prevailing breezes. 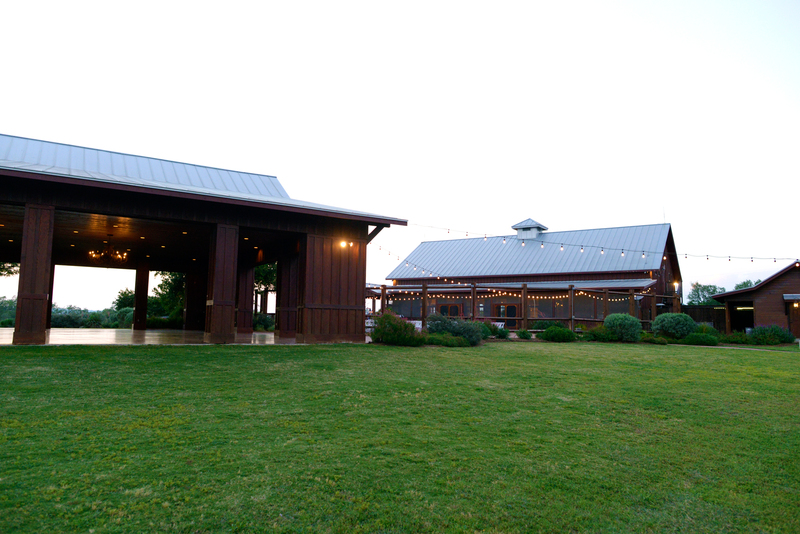 Some brides choose to say “I do” under the Pavilion as the sun sets below the hills behind them. Handsome pine ceilings and columns nearly match the beauty of the outdoors. 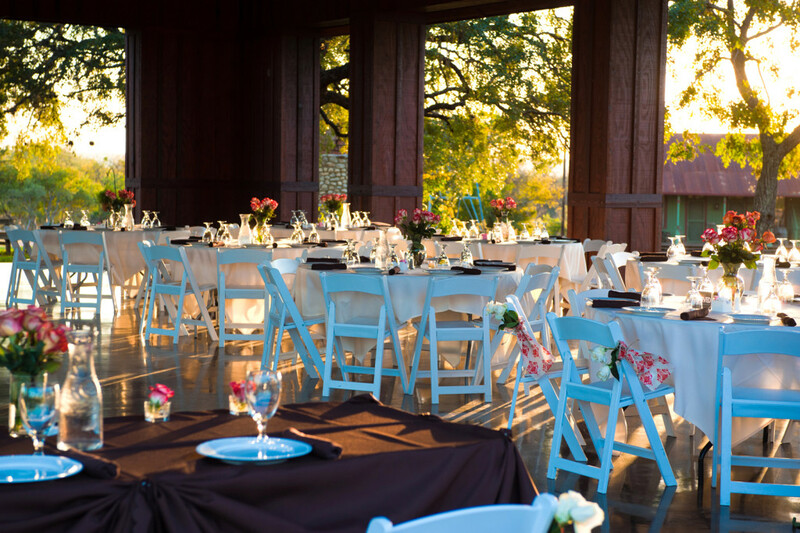 At night, the Pavilion seems to magically transform into an outdoor ballroom as two opulent chandeliers splendidly glow. 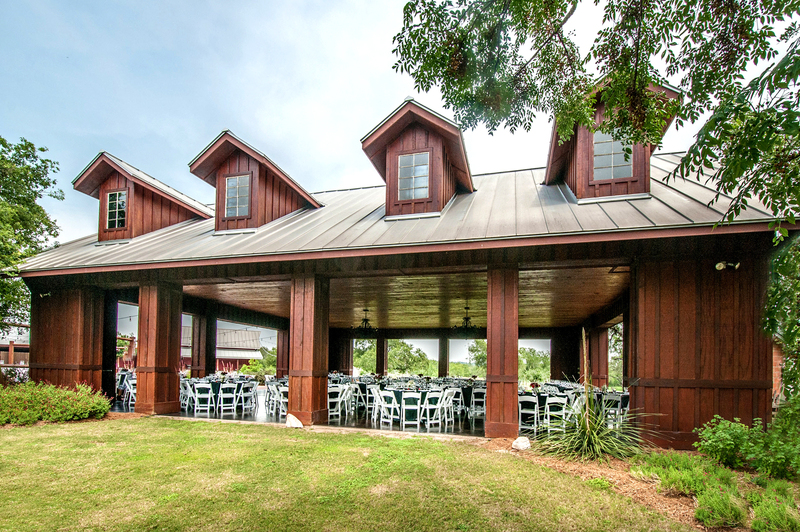 The Pavilion is available for dinner and dancing as well as wedding ceremonies. 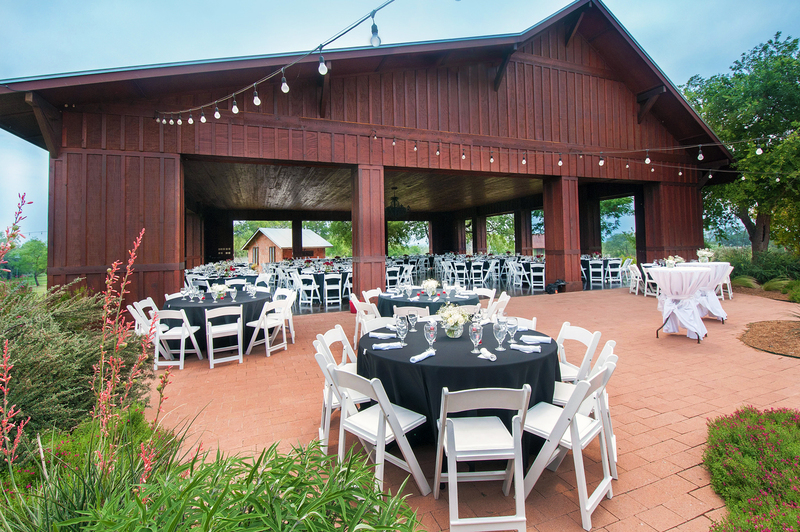 The Pavilion works perfectly for a beautiful outdoor dining area, or as the ballroom for dancing. 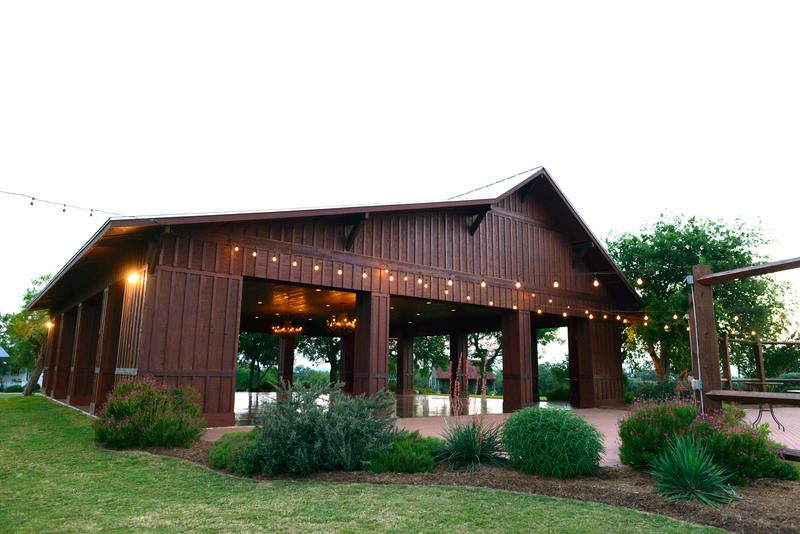 Additionally the Pavilion is directly connected to the patio as well as the Grande Hall. 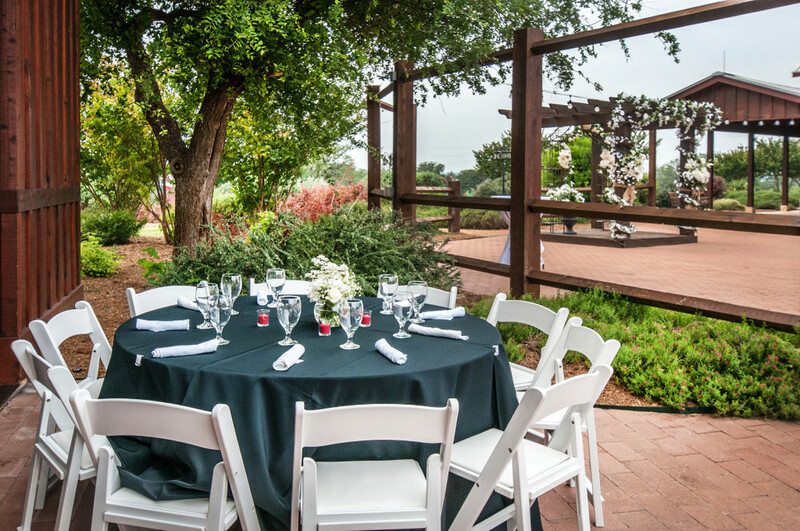 Many events will utilize all three areas for their celebration.